If this issue has reached you it means I’ve properly set up the scheduler as I’m away on holidays. Your emails are welcome, but I won’t be able to get back to you until late August. Get support for all your genres from EZ HERO magazine. Sci-fi, fantasy, superhero, action adventure, and more. Characters, advice, gadgets, rules, settings, and props. Get your free sample at Where Did the Termites in my Home Come From? In planning a trap I find a consultants’ tool called 5W2H rather handy.With each trap I try to keep seven questions in mind, the five W’s and the two H’s: What, Who, Why, When, Where, How, and How much. The first seven tips are based on this tool.The idea of a trap is not to kill the party with a fiendish mechanism. Nor is it to give the players the dice and ask them to roll whether and how much damage their characters receive. It’s not even to test the player’s wits, at least not exclusively. Traps have the potential to be far more if developed to their fullest. A trap in a demon lord’s castle may be rather different from one a good high priest would choose, even if the two do have a something in common, that is, the need to protect valuable resources from theft. The choice of traps reflect the people behind them.That may well mean more than one person or interest group behind a trap. Someone wants an area secured, and assigns the resources and the personnel to get it done. That person may well be interested in what kind of traps there are, at least to some extent. Someone is in charge of using those resources to optimal effect. Some actually design and build the traps. Some may need to be consulted on what kinds of traps are used, and it may well be that the people living inside a temple are not too keen on, say, traps that summon demons and hell hounds to deal with intruders. Some need to be informed of the traps, and even though they do not have a say on what is used, they may respond to unwanted hazards in unexpected ways, such as marking trap spots, sabotaging the traps, or boarding up trapped areas.There is another tool, called RACI. Typically, exactly one person is R)esponsible for results; occasionally there may be several or none, but if such is the case results are typically poor. At least one person is A)ccountable for getting the job done. Some may need to be C)onsulted before decisions are made, and some may need to be I)nformed.The trap maker’s personality is especially essential. She might be well known for her skills and style, even infamous. She might actually sign each trap she creates in a way that the victim will see whose handiwork he is facing. Her preferences can also help the party anticipate what comes next, and how to escape traps already triggered. Maybe the trap maker has a soft spot in her heart for the resourceful or the well-informed, especially if she is not in good terms with her client – and has actually made a trap escapable. Traps are typically not built with intention to kill. Most that adventurers encounter are built to protect an area against intrusion, but there are exceptions. Assassination, vanity, curiosity, hunting, and spreading terror are all reasons to create traps. Traps can certainly be lethal, but death is mostly the means, not the end.Many traps were intended to be non-lethal. Some are designed to maim, wound, hurt, or hold. Some are built to raise an alarm, capture, scare, deter, delay or mislead, amongst other choices. In some traps the people don’t even care whether it works or not – it simply benefits them in some way to trap an area. For example, a new king may not care whether someone robs the grave of his predecessor, especially if the new king had his predecessor assassinated. He may have the grave trapped, but his reason for doing that is not to prevent entry or robbery, but to hide the tracks of his own crime, perhaps also to ensure that his predecessor stays dead. This affects his choices on whether and how the area is trapped. Many traps can be quite specific on which targets they strike and which not to, even to the point of being intended for only a single victim, and nearly safe to everyone else. Some are hard to notice, whereas others are intended to be obvious and work as deterrent. A trap that is good at deterring intruders can in fact serve its purpose better than a deadly trap.Some traps were never intended as traps, yet have become dangerous and unpredictable by accident – such as a magic item with a design flaw or a rope bridge with frayed ropes and rotten planks. Of course, some accident-prone equipment may, since its creation, have been adopted to a new use as an intentional trap. A nearly broken bridge can be made look more solid, a magic item deadly for its wielder arranged to be used by an appropriate person.A number of highly effective traps can be designed to provide the defenders of an area an edge in combat. This can simply mean an alarm which gives the defenders the time to move into ambush positions, but can be a lot more. An ambush by hostile archers can be challenging, but if the party has to face it in a pool of water five feet deep, and with a weighted net covering the surface of the water, it is a lot harder. The undead can be difficult opponents, but it is vastly more difficult to fight them in a dark, unholy area filled with poison gas. Venomous insects are usually more of an inconvenience than a threat, but a very tight passage where a single party member faces them all at the same time, and has to do it without hope of help, relief, or cure, can make them a formidable obstacle. Ancient traps may well have become useless over the time. Some have been triggered, and some have otherwise become inert, either in part or in whole. For example, a trap that lets a monster loose on a party could once have been very impressive. The mechanism may still work, but the monster may no longer be a threat to the party. Very recent traps, on the other hand, can have been haphazardly made, even makeshift – such as a villain the party pursues rigging a rope bridge to fall under the weight of the party. This does not make them any less dangerous, but it makes them different from the traps that remain a threat for decades or centuries.Old traps can well have the added difficulty of centuries of dust on them, which makes them harder to spot. The dust can, on the other hand, make the traps less reliable – unless someone clears it away, of course. Three feet of sand can for example, jam pressure plates, cover trip wires, prevent contact poison from reaching skin, or deny arrow traps a line of fire. With old traps, there is also the increasing possibility that someone else has already triggered them. Not all traps need to be a threat to the player characters; seeing what a trap did to a fellow adventurer some years ago can fit the tale even better.An area may have had several civilizations on it. Each of those has left its mark – and often, its traps as well. There may be or have been several groups present at the same time, which has caused some areas to be heavily trapped by one or both groups whereas others have been cleared of hazards. Some new traps can still have telltale signs left by careless builders – a shovel, extra dirt and cut trees near a place where a pit trap was dug and covered with branches, twigs, and leaves, or diamond dust where a warding spell was cast, for example. Even the caster / builder herself may still be alive, even present.Think of the age of the setting when placing traps, and modify your choices accordingly. A trap can blend into its surroundings well or badly. They can make the most of their surroundings by taking advantage of natural phenomena. Soft stone is easier to dig which makes building pit traps a natural choice – they would be faster and easier to made, as well as less costly. Hard and heavy stone gives an added edge to traps involving falling blocks. Limestone means moisture and fog, stalagmites and stalactites. This can limit visibility especially near floors and ceilings, provide natural caltrops along surfaces, and make other areas smooth and slippery. This gives an added edge to traps which force the party to move fast, such as summoned monsters (especially oozes and slimes which are otherwise usually easy to outpace) and traps that lure or force the party to move or fall.An area may have natural predators, vast caves, areas where falling stones are a risk, pockets of poisonous gas, hot water springs, volcanic activity, underground rivers, pockets of clay, or other special features. An area filled with swamp is a difficult encounter as such: drowning is a definite possibility, swimming in a swamp is almost impossible, wading is slow and tedious, insects and other creatures often numerous, and there is the risk of disease. The air can have a heavy concentration of methane, which is not the healthiest substance to breathe. For good measure, methane is flammable.With some ingenuity, natural hazards can well be taken advantage of in making areas very hard to penetrate. Adding the cunning of a trap maker to what nature has already provided can mean highly effective and well hidden traps at a fraction of the cost. On the other hand, there may be traps which fit their surroundings in a spectacularly inefficient way. Perhaps someone may have wanted to place his favorite trap placed there, no matter how badly it fits the area it’s placed in or how much extra it costs to build.Traps can play off specific weaknesses. Arrow traps are a poor choice against heavily armored adventurers, so a smart trap builder would place them in areas where lightly armored targets are expected, such as tight corridors, areas where climbing is necessary, hot places, or as defense against specific intruders who tend to be lightly armored. Fitting through tight spots, climbing, and trying to keep one’s balance on precarious surface also means situations where dodging is hard, dangerous, or impossible. Pit traps, on the other hand, work well against heavily armored targets as the weight of the armor ensures that the trap is triggered, does not help at all against falling damage and may make rescue difficult. Spell casters, then, may not have the highest stamina, which makes poison useful regardless of the method of delivery. Gas traps are an effective choice, especially if the hazard is hard to detect before it’s too late, and/or the trap triggers with a time delay so as to strike the vulnerable high-value targets rather than the wary and replaceable scouts.Traps can well be designed against a specific kind of foe, such as raiders of a specific race. How well they work against player characters, though, is another matter. An array of traps meant to ward an area against hordes of fragile, badly equipped, not very smart humanoids three to four feet tall could have no arrow traps at all; instead there would be javelins fired with enough force to penetrate three or more targets. Those javelins would be fired into long corridors, at roughly the height of three feet where hearts and throats and heads are expected. If the party does not realize this, they might be in for injuries in their thigh, groin, and lower stomach area. With some thinking the party might be able to make the PCs’ lives much less painful.Consider adjusting traps according to their surroundings, including weather conditions, expected intruder types, terrain, and special features. This adds variety to the traps, which makes them more of a challenge. This also increases the storytelling of the scene as the traps then naturally fit into both the story and their surroundings, especially if you occasionally choose a trap that is an intentionally poor match with its environment. 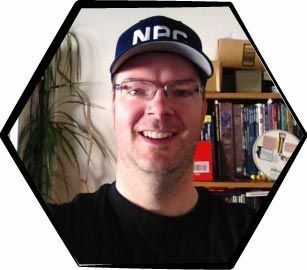 Aki Halme has been involved in rpg’s for the past 17 years. His gaming experience includes playing, running, and designing various games, including ccg’s, tabletop games, live-action games, and PBeMs. He’s currently getting his Masters’ degree in engineering and physics, the very two things he has never studied. As a GM of over 15 years, I have seen an entire spectrum of players come and go from my table. Of course, as players will, some will roleplay their characters more deeply than others. A method that I employ to encourage the players to actually roleplay is to award inspiring, humorous, or valorous activity with what I call “on the spot experience”. If one of my players, for example, says something that is perfectly in keeping with his character and consequently has the entire room rolling on the floor laughing, I immediately award him/her 50 experience points. This XP goes on their sheet immediately, not tallied with the regular XP at the end of the session. I have found that not only will the players focus more on the roleplaying aspect of their character, but they will go out of their way to “play harder” to gain that extra XP. So, my husband had the smart idea of having all the players write down plot threads that would interest them. Most of the answers weren’t really anything I could use, but one of the answers got my imagination going, and soon I ran a pretty enjoyable game that left lots of room to continue next week. Another idea is to have an “ST” box, where your players can drop tips and suggestions into. In my campaign, I have players who play at the table with me, and others who used to be in my group that have now moved house etc. In any case, I let the distant players play important NPC’s (those who co-ordinate events, but don’t actually encounter the PC’s) by e-mail, so that I don’t have to come up with all the original ideas, but let my previous players be the devious ones. They don’t have to give me all the details, just tell me what they plan, and I implement the rest.